As children we think that our mothers tell us to do stuff like chores and homework just to bug us. When we ignore them, they repeat and repeat and repeat their requests. Each time their voice gets louder and, often, more embarrassing as if volume alone will get us to listen and motivate us to act. Yet the increased noise level doesn’t make us pay attention. Instead we intentionally block out their words as if they were never uttered. Because we hear nagging when our mothers tried to show us how to be better. Sound familiar? Even if you don’t admit it, you know it does! Without realizing it we act like our mothers when we implement our content marketing plans. We send the same message over and over and over without stopping to consider how our audience views these communications. Even worse, we probably annoy our best customers and fans the most because we have various, more direct methods to contact them. Like our mothers, we need to take the time to understand our specific audience. This way we can give them the content they want and need via their choice of devices and channels. Even better, we can deliver it when, where and how they want it. While you may never have regarded your childhood as marketing training, now is a good time to do so. 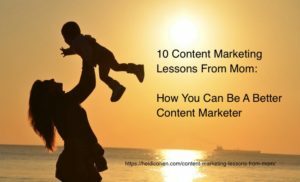 Even better, I’ll show you how to use your mother’s lessons to make you a better content marketer along with a set of actionable content marketing lessons to improve your content. My mother taught my siblings and me how to behave from an early age. Like other mothers of her generation, she learned the childrearing ropes from her mother, her friends and books (back in the pre-Internet era). To help you become a better content marketer, here are 10 content marketing lessons from mom. “Be yourself since everyone else is already taken,” a quote often attributed to Oscar Wilde, is the best translation of this parental advice. Content Marketing Lesson From Mom: Stand for something greater than your financial business goals. In a business environment where trust is at an all time low, you must show your integrity one interaction at a time. Develop your company’s content marketing mission statement based on your business’s objectives. Document and share your content marketing mission statement with your team and your audience. It saves resources since it defines what content you’ll create and what you won’t. Document your brand as it relates to content marketing. Branding ensures that your employees and agencies use the same voice, look and feel when creating your content. While brands may evolve over time, your business must present itself consistently across formats, platforms and channels. From an early age, parents teach their children to get along with and take care of their siblings. It’s an early way of telling you to be part of the community. As the oldest of 3, I can attest to the fact that this can be easier said than done especially when what one child sees as fair isn’t necessarily the same for the others. While my parents tried to be fair and treat the 3 of us equally, my mother understood that each of us had different needs and strengths and she tried to nurture us appropriately. To create content that speaks to your audience and moves them to action, you need to develop your content like you’re talking to them one-to-one. While addressing your reader in the second person (aka: you) helps, you must understand them in the same way you know your family and friends. 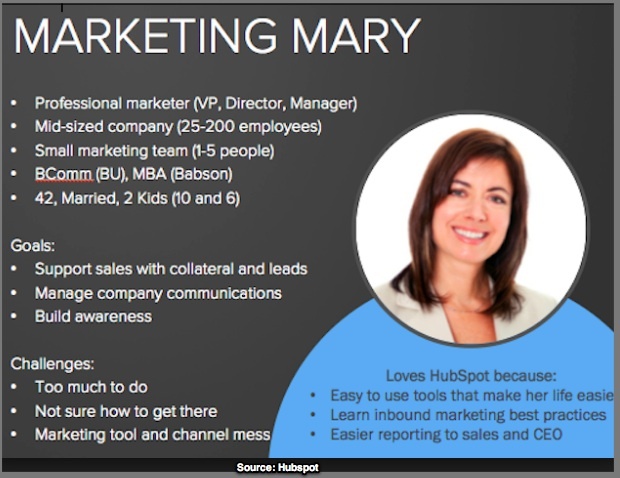 Develop a set of marketing personas. Your goal is to educate your team about your audience so that they can create better tailored content. Ideally you should have 2 to 4 personas. Use every communication and/or live event to deepen audience relationships. People relate to other people. Nothing beats meeting your audience in-person even if you’re an introvert. As your mother taught you, you have 2 ears and 1 mouth, use them in that proportion! Mothers and fathers who have the financial means move to locations where schools are better. Additionally in this new home, mothers insist that children pick up their toys and clean their rooms. As a teenager, I had an easy work-around since my room had 2 beds with long bedspreads. I hid the mess under the second bed. Being visible when and where your audience seeks information especially since 70% of customers make buying decisions based on online information. Make your content findable across platforms and search. Making content relevant to the platform. Align your content with the site’s presentation guidelines. Ensuring that your content is easy-to-consume across devices. One size doesn’t fit all for content. Create multiple variations of your content for each distribution platform. Do this when you create your content to minimize content expense. Use multiple content formats. Maximize your audience’s size and ability to consume your content how and when they want. At home, mothers are on constant food patrol. You have to sneak in those sugary treats. Moms make sure we get enough of the right balance of foods. Take a tip from my mother who cooked several meals at the same time and froze meals for another week to reduce cooking time. You can do this for your content by creating all related content at the same time with the same resources. Content Marketing Lesson From Mom: Provide audience with a well balanced content offering. Give your target audience the information they want and actively seek. 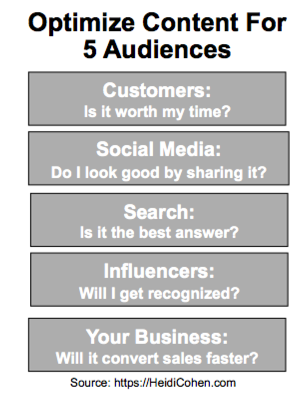 Offer the 5 basic content types that customers need. While mothers innately know what their children want, they push children to use their words. They encourage us by asking us, “What did you do today?” My mother always wanted to know what we did in school especially the big pieces of lined paper with drawings and wobbly letters. Additionally, mothers use stories to teach us the important life lessons. Sit at a family dinner and listen to learn about your background. As Chip and Dan Heath point out in their book, Made To Stick, stories are memorable. Stories need a beginning, middle and end. Incorporate stories into your content to make it more vivid and memorable for your audience. Select your words with care to attract attention. This is especially important in headlines. Use words that your target audience uses and searches for to make your content findable and relevant. Include stories that are relevant to your audience. Like your family stories, people need your information presented with people that familiar. Use a variety of content formats. Appeal to a broader audience with multiple content formats like the bedtime stories with pictures your mother read to you. My mother was known for looking stylish. She believed that how you looked was as important for your mindset as it was for how people viewed you. Even when she worked from home she got dressed as if she was going to an office. We learn what’s appropriate to wear and how to take care of our clothes from our mothers. As the second girl in her family, my grandmother could iron a shirt so that it stood by itself without anyone wearing it! Remember—You only have one chance to make a first impression—make the most of it. Choose your words well. Research shows that you should write for the 8th grade level and use shorter words where they retain the meaning. Sound like a real person. Be clear in your use of language and use corporate-speak. Have someone copyedit your content. It needs a fresh set of experienced eyes to improve it. If you’ve just dash some writing off, chances are it’s full of poor logic and grammar mistakes. Did you ever wonder whether your teachers gave homework just to be mean? Or worse they did it just to give your mother something else to nag you about? My mother set an example when it came to homework. She went to graduate school when I was in middle school. After dinner, she spread her books, notes and typewriter out across the dining room table to have space to study and learn. Having taught university level marketing, I know from experience that students need to read and practice concepts multiple times and ask questions about the confusing parts before they can apply them on their own. Content Marketing Lesson From Mom: Do your research before you start creating your content. Being able to create high quality content on a regular basis takes practice just like homework. You need to show up at the page on a regular basis. Further, reading a wide range of quality fiction and other types of writing improves your writing. Fiction teaches you about character and story structure. It also helps you develop a voice. My mother was an avid reader. 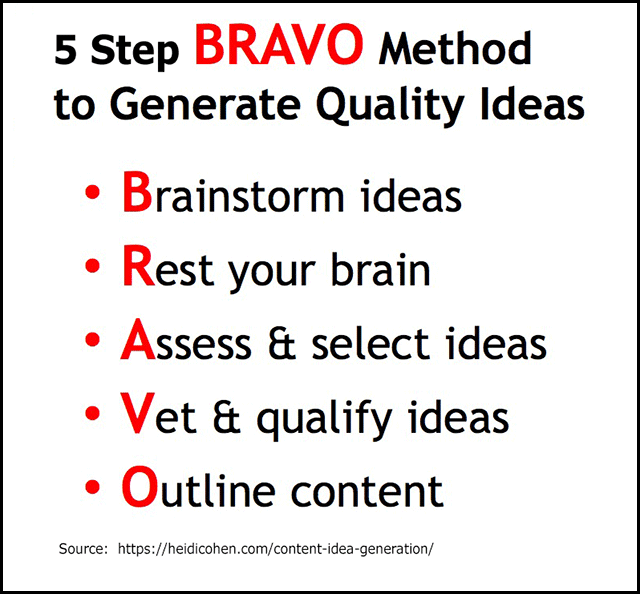 Start with a list of content ideas. Don’t sit down to the blank screen. Do your writing homework and generate your outline before you start. It’ll speed up your content creation. Use an editorial calendar. Instead of pulling an all-nighter before your big content projects are due, plan your major and weekly content efforts. Most kids have special chores that help keep the household in good shape, whether it’s setting the table, taking out the garbage or raking the leaves. It’s not just a matter of economics, it teaches children to take responsibility. Sometimes chores are rewarded with an allowance to teach you the value of money. Content Marketing Lesson From Mom: Ensure that your content yields value to your business. Like chores, your content requires lots of behind-the-scenes work like content optimization. This ensures that your content marketing appeals to the largest possible audience. Provide resources (people and finances) needed to create, optimize and distribute your content. Quality content takes time and effort. It requires a combination of different talents. Measure your content marketing results. Show that your content marketing yields business value. Translation: Include a relevant call-to-action that is trackable. My mother exercised regularly before they had health clubs and trainers, or even fancy running shoes. She exercised daily using her treadmill and free weights. But beyond physical exercise which helps your brain to do important thinking while your body is active, play well with other children refers to making friends and becoming part of a community. Content Marketing Lesson From Mom: Build community by helping others and developing relationships based on shared interests. Your content marketing’s higher goal is to support your community by providing quality information. 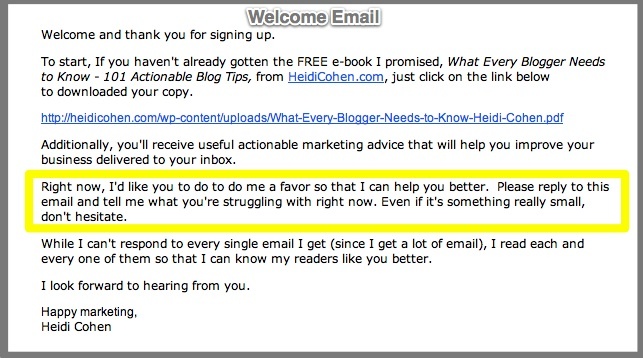 In the process, you build relationships with readers, prospects and customers. As part of a community with shared interests, you can develop relationships with influencers that can help your content marketing. Use your content to help build or support a community. 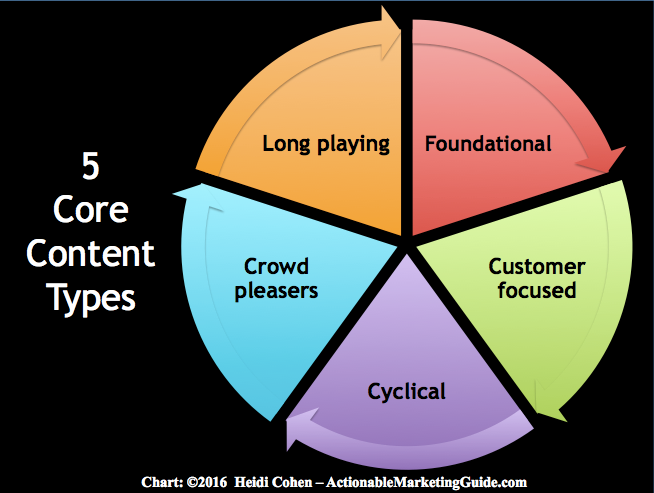 Your content needs to be consumed to fulfill its potential. A content-focused community helps you to reach your audience. Exercise your body as well as your mind to function at your peak. It’s difficult to be creative when you spend all of your time glued to your computer screen. Give your brain a break so that it can do its creative magic. What mother doesn’t tell her children to go out and play? Beyond the health benefits of sunshine, the subtext to this message is get out and interact with other kids in the neighborhood. It’s even better when an organized team sport is involved since you learn how to work with peers. Content Marketing Lessons From Mom: Get involved in company and industry events. Getting out from behind your computer helps your content marketing. It enables you to better understand your competitive marketplace through industry events and conferences. Additionally these interactions help you to build your community. Like children, you need to get your content into the world so that it reaches the biggest potential audience. On a macro-level this translates to content amplification and distribution. You need to continually distribute your content just as you have to get out of the house every day. 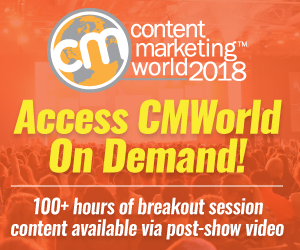 Use events like conferences as inspiration for content. Live content presentation is another way to distribute your content. Even if we don’t realize it, we learn important lessons from our mothers that can be applied to our content marketing. Like a mother’s love for her children, at its core content marketing is about communicating how much you care about your readers, prospects, customers, employees and the public. Your content helps you to develop deeper relationships with the people you want to reach. As a result, you guide potential buyers by giving them the information they need to make informed decisions. What content marketing lessons did you learn from your mother? PS: This article is lovingly dedicated to my mother for all of the wonderful things that she’s taught me over the years. Editor’s note: This article has been updated and expanded. It was originally published on May 9, 2014 in honor of Mother’s Day. Tags Andy Crestodina, Ann Handley, Branding, Content Context, Content Ideation, Content Optimization, marketing persona, Mother's Day, Trust. Bookmark the permalink. 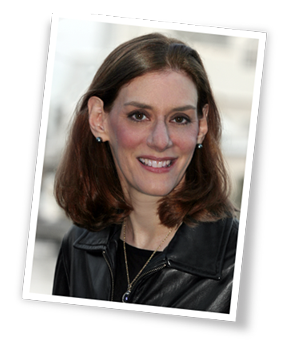 Do you feel like there is starting to be a shift in terms of how brands view curation? Invests in Drugs After Outselling Apple’s. Full story here: http://bit.ly/1ny3Pdf.